Europe, it is now being repeated ad nauseam, is experiencing the worst refugee crisis since the Second Post World War, which after the horror of war underwent a horror of population transfers, well documented in Keith Lowe’s Savage Continent. But Europe seems to have forgotten where it comes from and that for these hundreds of thousands of people it –especially Germany– is the land of promise. They are also fleeing wars, in Syria, Iraq, in a destabilised Afghanistan and Yemen, among others. A truck full of dead refugees, the photo of a Syrian boy who died on a famous beach in Turkey, the scenes on the Hungarian border and the Keleti railway station in Budapest might have jolted some consciences. But the Europeans are divided. There are many issues that challenge the values, principles and policies on which the EU has been built. Those who most decry their moral and legal duties are also those who most reject the idea of “more Europe” and the economic migrants, often difficult to identify, that throng around Calais and the Eurostar. A solution is urgently needed, or rather some action, even if palliative. There may be one in the longer term, although not based on higher walls but on the greater Europeanisation of the management of this kind of drama. But the challenge is immediate. To solve things in the long term does not guarantee overcoming in the shorter term, for what is required immediately is far more solidarity amongst Europeans and in respect to those outside. And differences over the long term will hinder the shorter-term solutions. 1. The division between Western and Eastern Europe. The internal dynamics of each country prevent any concerted action at the European level. The governments in Berlin, Paris and Rome, which are together in this (but without Spain), firmly point the finger at Budapest, Prague, Warsaw and Bratislava, led by the rightist Hungarian Viktor Orban, who reject not only a system of mandatory quotas for sharing refugees but the possibility of pan-European solutions. Hungary, a country of transit, has granted fewer than 300 asylum permits so far this year, a mere 0.2% of the EU’s total of 150,000. Germany, which expects 800,000 refugees throughout the year, has granted 40%. But the matter is not just a problem in the Visegrad axis. Although under pressure from public opinion he is now adopting a more flexible position, the UK’s David Cameron –concerned that the issue will become entangled in his referendum on EU membership– had firmly opposed receiving more refugees from the Middle East (and certainly from Calais). Solidarity with an overburdened Greece is also hard to find. The Spanish government had opposed opening the door to asylum seekers but has now decided to increase its quota. It remains to be seen whether next week the EU Home and Justice Ministers reach an agreement on a fairer distribution of quotas and a more generous management of the issue, following the shameful agreement last July. There has been some repositioning, but the heads of diplomacy have made little progress. Solidarity among Europeans cannot be based on paying to avoid exercising it, as with carbon emission bonds. The EU will not emerge from this situation unscathed. That will be a further blow. 2. Policies without means or institutions. The fault lies not in the Schengen agreement (which includes non-EU countries and excludes the UK and Ireland, despite being part of the EU), although it has again been subject to criticism following the thwarted terrorist attack on a high-speed train between Amsterdam and Paris. It is flexible enough to deal with extreme situations. But what some people want is a return to national and internal borders. One problem, highlighted by the former Belgian Prime Minister and leader of the Liberal MEPs Guy Verhofstadt, is that this Europe is pushing policies without affording them the necessary means and institutions. This was evident in the Euro crisis, which forced the pace on integration. The European Asylum Support Office, based in Malta, has a staff on only 80. 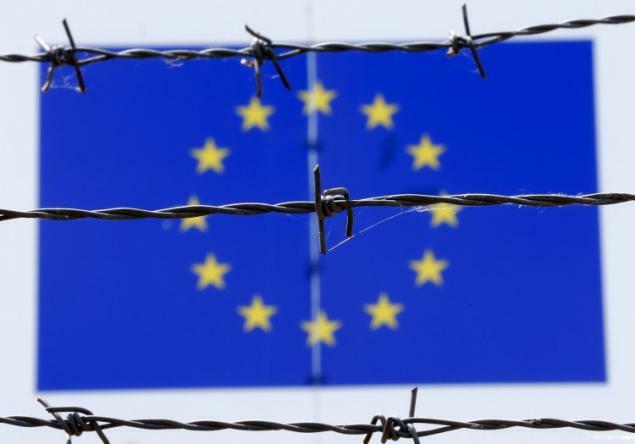 Frontex, the European agency for the management of operational cooperation at the Union’s external borders, has been strengthened, but still so insufficiently that it has had to employ private means. And it is not just the means, but also the political approach. As mentioned above there are governments that do not want asylum and immigration to be under community management, or at least under a more collective administration with a common policy. 3. There has been a lack of leadership of both countries and institutions. Faced with the challenge, Angela Merkel, despite pressure from her Bavarian partners in the CSU, has reacted, returning to a discourse of European values and the defence of the most basic ‘universal civil rights’. And she has done so as the Chancellor of a nation that is expected to receive more refugees this year than any other country: 800,000, equivalent to 1% of its population. Very few would be strong enough for this. Merkel has spoken of European values ‘based on the dignity of every individual, without starting to say “we don’t want Muslims, we are a Christian land”’. Germany, France and Italy have joined in a petition for a fairer distribution of refugees. Spain, which has no public opinion problems on this issue, should have been there. Meanwhile, in the countries of destination, including Germany, but also Denmark, Sweden and the UK, right-wing movements and parties opposed to immigration and refugees and, of course, to a European policy, are on the rise. 4. Incapacity to deal with conflicts. Naturally, conflicts do not always have a good solution. The Europeans, with the US, have failed or been unable to find one faced with the three-sided civil war in Syria. When, with the US, they intervened in Libya, they destroyed not only a regime but also a State, destabilising both the country and its neighbours to the South. Not to mention Iraq (whose invasion in 2003 was the origin of many of these evils) and action in Afghanistan that has remained incomplete. There is a European responsibility in the root causes of the current exodus. In any case, the needs of local refugees, who number hundreds of thousands in neighbouring countries and areas such as Jordan and the Balkans, should be met. And more attention should be paid to events in the neighbours of Europe’s, a clear case being the Sahel. But conflicts will continue, and with them more refugees will come. Solutions include ending these wars, combating human trafficking, promoting economic and social development in Europe’s neighbouring countries and their own neighbours, promoting cooperation against illegal immigration –in the way Morocco and Spain are already doing–, forging a truly European policy on immigration and asylum –involving the automatic distribution of refugees– and considering the needs of an aging EU. These are issues that, even if answers can be found, will take time to resolve or not all be resolved and even, in turn, generate further problems. The situation must be managed now, even if ‘strategic patience and persistence’ is required, as commented by Johannes Hahn, the EU Commissioner for Enlargement. Merkel has understood this well: Europe must get used to the idea of receiving more refugees, along with their more equitable distribution. There is no other choice. It is a legal issue –as these obligations and others in the Dublin Regulation of 2013 must be complied with– but especially a moral duty. If Europe does not act it will undermine itself and lose its soul, precisely the one that these refugees are seeking. We are forgetting where we have come from: a savage continent, but also the one that gave birth to the Enlightenment and Human Rights.